Some scientists are very interested in knowing what would happen if the sun goes dark for good. This is reasonable enough as nothing on our planet can live without this important star. For some time, astronomers were doubtful about what would happen to the sun at the end of its life. The death-throes observed in other stars were seen as unlikely to apply to it based on its size. However, a new study provides evidence that may turn models of Sol's demise back in this direction. It indicates that the star may be more eligible for conversion into a planetary nebula shortly after it goes out forever. A planetary nebula occurs when a dying star flings out a large proportion of its matter into a cloud which surrounds the new white dwarf that is the core of the said star. These nebulae may last for about 10,000 years (or not very long at all, in cosmic terms) before dissipating, as the star finally dies. Therefore, Sol may become such a planetary nebula at the end of its life. On the other hand, established star-death models state that stars need to be at least twice the size of our sun to become an observable nebula. In these models, a dying star initially enters a stage called the Asymptotic Giant Branch (AGB) phase of stellar evolution. Smaller stars are more likely to burn up all their remaining helium and expire since they lack the mass necessary to form a nebula. However, new research conducted by scientists from Argentina, the UK, Hong Kong and Poland are challenging this accepted theorem. Nebulae have been documented everywhere in older galaxies, which are unlikely to contain stars of this size. These planetary nebulae have been observed in younger galaxies, and their brightness has been reported as consistent across galactic age and solar mass. Therefore, the scientists constructed a new model of stellar life-cycles using data on lower-mass stars such as our sun. This model was found to be compatible with the earlier findings on nebula brightness across galaxy age and star type. Can Our Sun Become a Nebula? 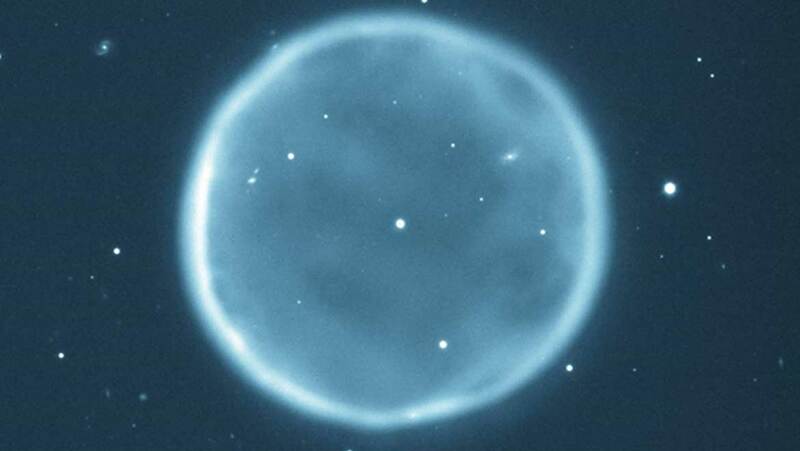 So, it seems as if the sun may indeed form a planetary nebula as it dies. According to the new model, this nebula is likely to have a luminosity function (a constant of brightness) in line with other nebulae developing throughout the galaxy and the wider universe. But this is not the only factor affecting nebula brightness. The sun's size may mean that the nebula is relatively faint compared to others. For example, astronomer, George Abell, observed many planetary nebulae during his career in the 1960s, several of which were probably brighter than the nebula Sol is predicted to form. The new theory indicates that nebula brightness roughly increases with size for stars that are three times bigger than our sun. Any bigger, however, and the brightness becomes more or less constant. The brightness of the sun's theoretical nebula will be largely determined by its core, which represents about half the mass left in a dying star at the nebula stage. It highlights the nebula’s cloud for the 10 millennia that such a body is projected to persist for. Some nebulae can be much more visible than their stars were in life. These bodies have been detected from tens of millions of light years away. Thanks to this new model, it also seems that nebula cores exhibit three times the heat compared to temperatures presumed under older theories. Therefore, a nebula resulting from a star the size of our sun is much more likely to be bright, and can be detected using conventional means. The new model also includes scope for the improved ability to track stellar life cycles as compared to older models. This capacity includes the possibility to project how Sol will age with greater accuracy in the future. The research paper based on this study is available in a May issue of Nature Astronomy. It includes details on the latest, reportedly more accurate, model of stellar aging. According to the new theory, our Sun will form a planetary nebula when it dies. However, this nebula is likely to be relatively faint, in accordance with its current size. The new model, developed by scientists across the globe, may also help us in predicting Sol's evolution with increased precision. This is good news, as the sun's activity affects us all. K. Gesicki, et al. (2018) The mysterious age invariance of the planetary nebula luminosity function bright cut-off. Nature Astronomy. E. Vassiliadis, et al. (1994) Post-asymptotic giant branch evolution of low- to intermediate-mass stars. The Astrophysical Journal Supplement Series. 92:(1). pp.125-144.